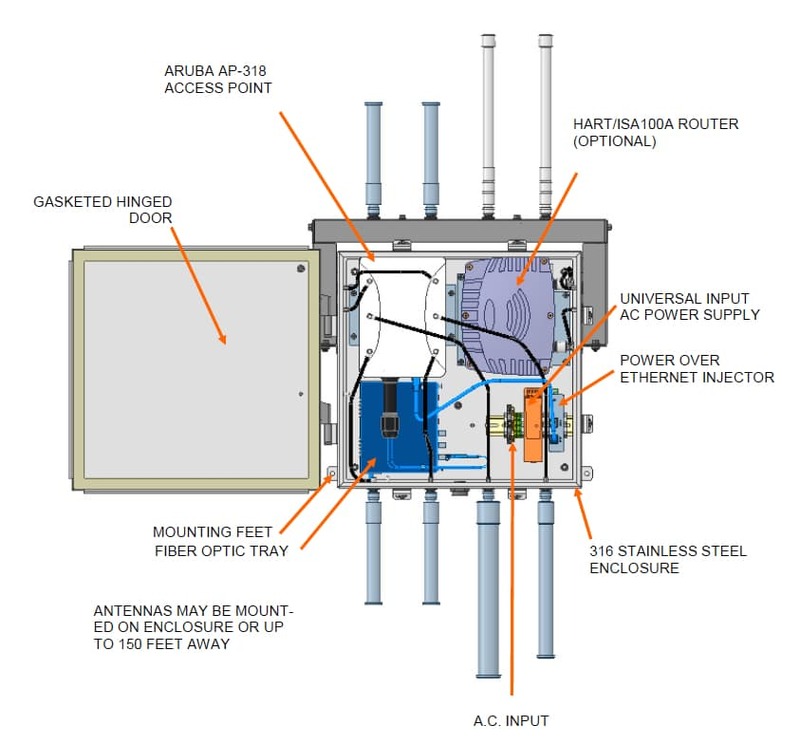 The AE902-1 is designed to house the Aruba AP-318 dual band access point for use in the hazardous areas. 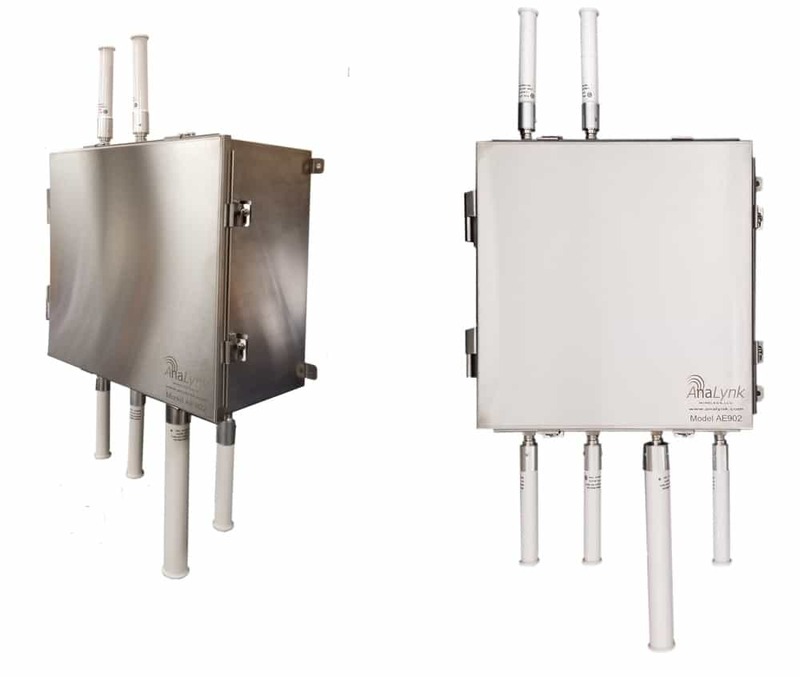 The enclosure, all hardware and antennas are rated for Class I, Division 2, groups A, B, C, & D. A POE injector and AC to DC power supply, are also included. The enclosure is made of 316 stainless steel and has a NEMA 4X rating for harsh conditions. 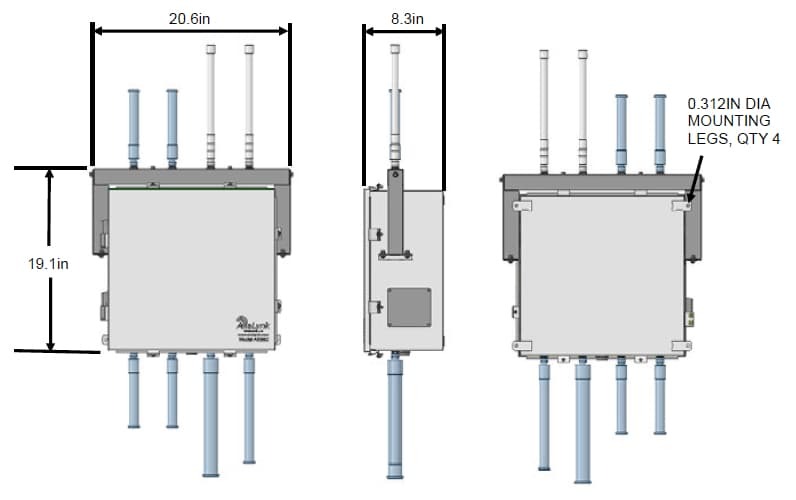 Optional directional antennas are available and an- tennas can be mounted up to 150’ away from the enclosure.